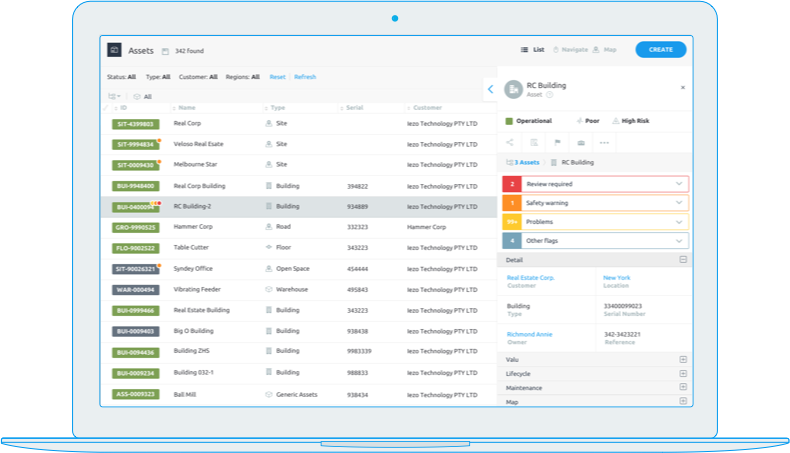 Create an asset structure in Loc8 that matches the physical location of the assets you maintain in the real world, enabling you to easily find and maintain these assets on site. Loc8 supports a robust asset type mechanism that standardises the types of assets maintained as well as the information and preventative maintenance schedules that run against them. Create condition and event-based rules to automate your operations. Do you need to automatically notify someone when an asset fails, or perhaps set an asset to inactive when a parameter is updated? Not a problem, Loc8 can take care of this for you! Need to change a status, or update an ID in-field? Need to move an asset from another site or create a new asset that needs to be maintained? Easy done. View asset tasks by focusing on one asset (searchable by id, name or barcode scan), asset type (e.g. all fire extinguishers) or task type (e.g. perform re-gas). You can also easily add more tasks in-field as you discover them. Often when completing one task, another rears its head. That’ll often cost more money or be impossible to fix right away. In those cases, simply create a rectification task and repair immediately or generate a quote. 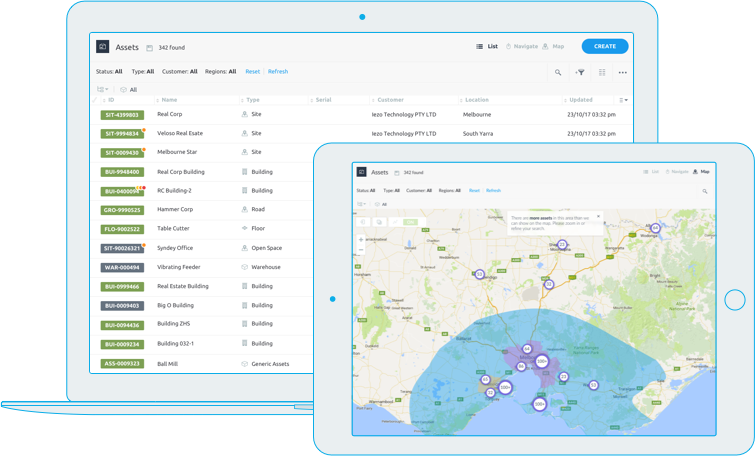 Leverage our next-generation customer portal to optionally provide your customers with visibility of their assets, including status, location and maintenance history. Use our API’s to integrate with other software solutions to push or pull data in real time. Create task based work orders with explicitly defined tasks and sub-tasks on the fly, or store and manage them via a dedicated task library for use again in the future. 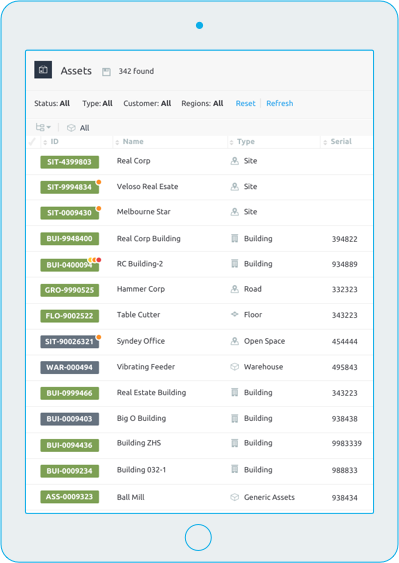 Define custom field groups, lists and parameters and then associate them with your asset types in order to standardise the information on each asset of a particular type. We maintain detailed change history on each asset and its tasks, including movement and parameter changes. Optionally, tag changes made on mobile with GPS coordinates.